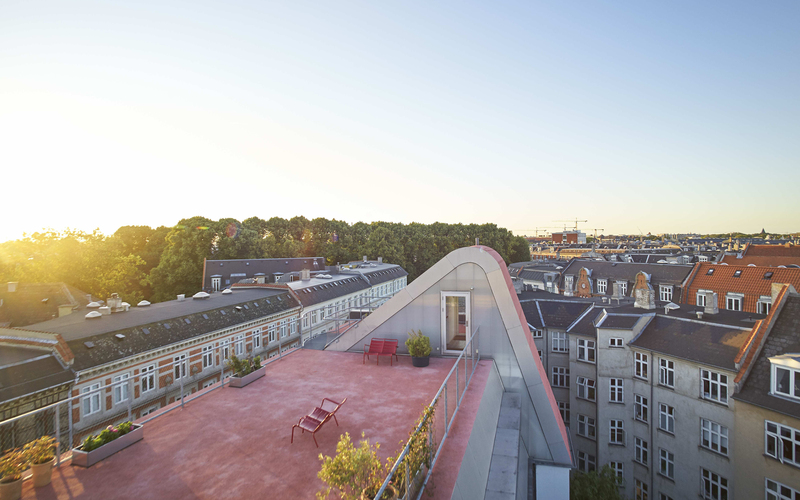 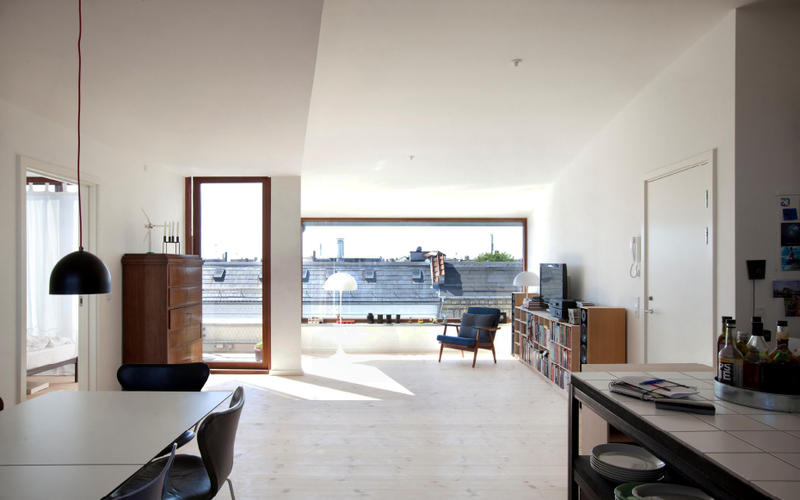 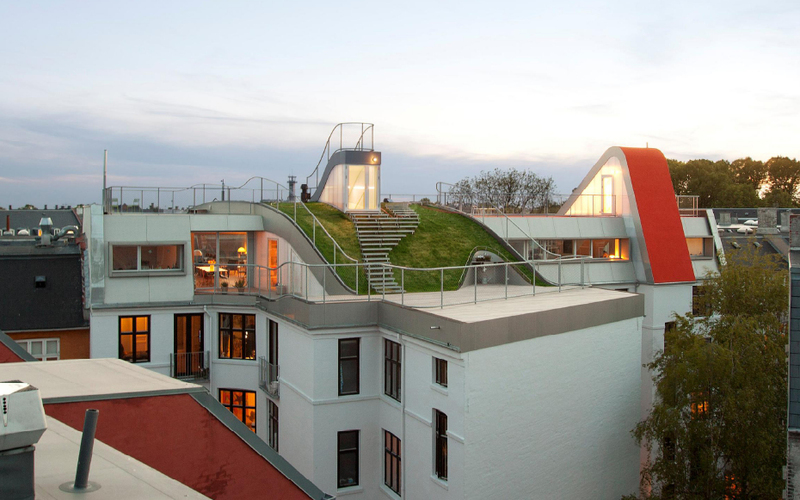 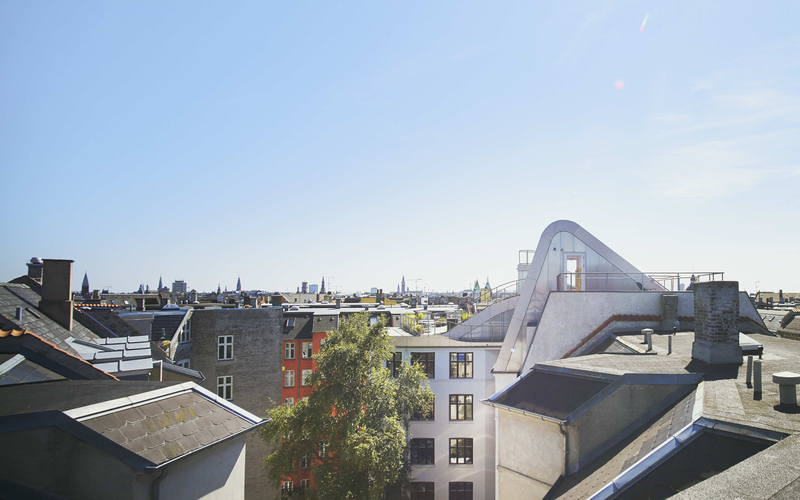 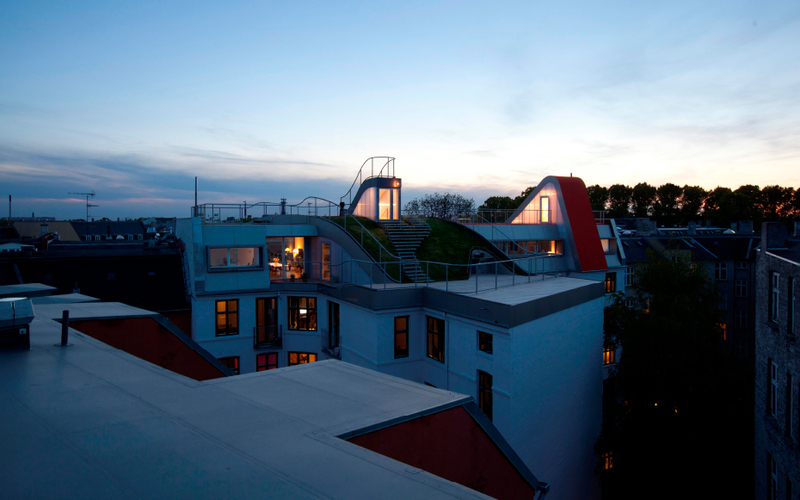 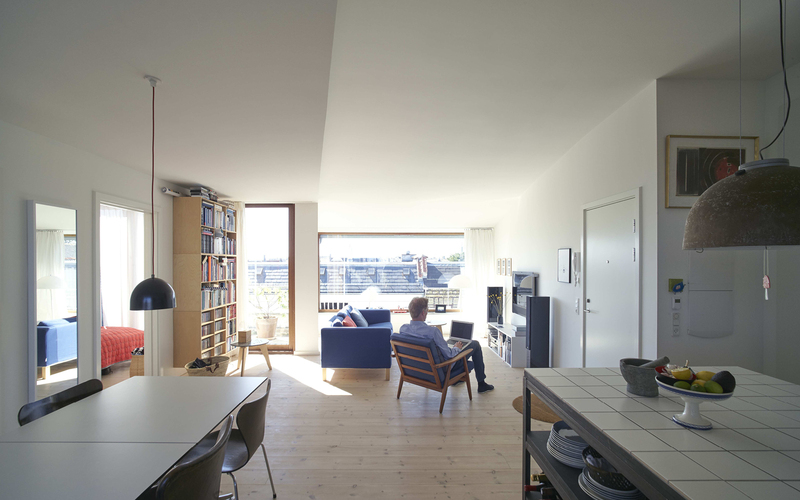 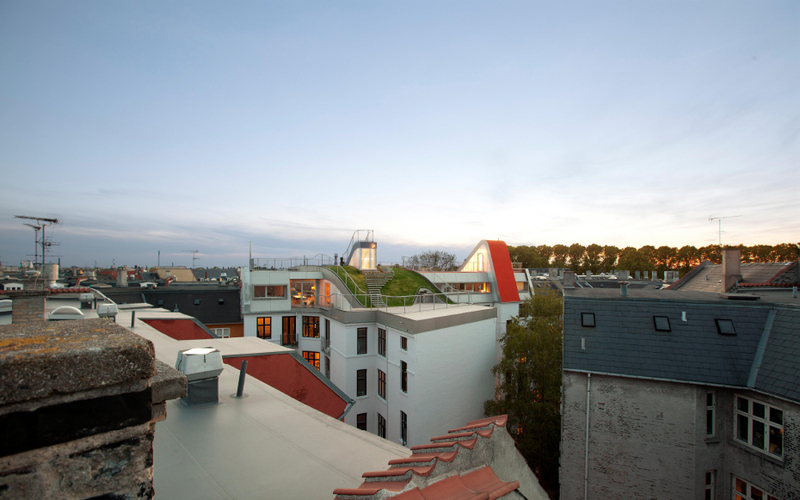 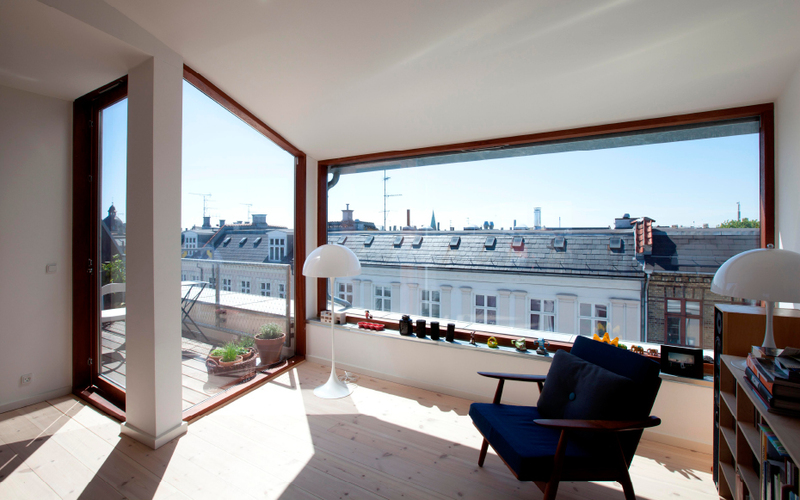 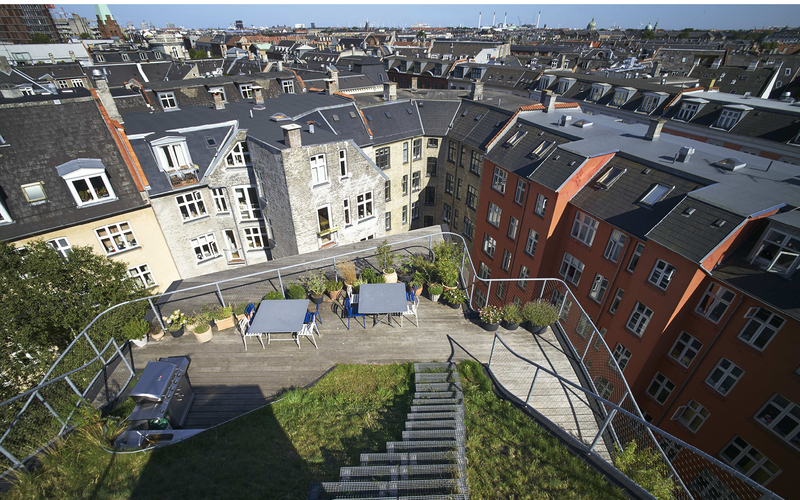 Elmegade district is probably one of the most densely populated areas of inner Nørrebro, Copenhagen. 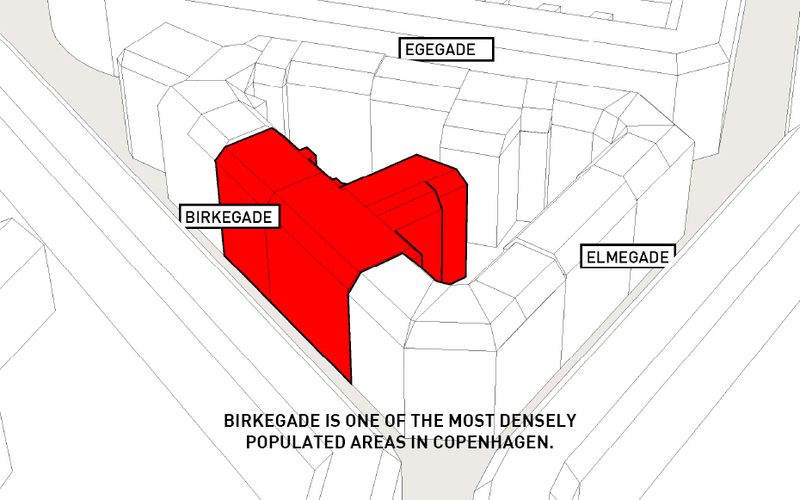 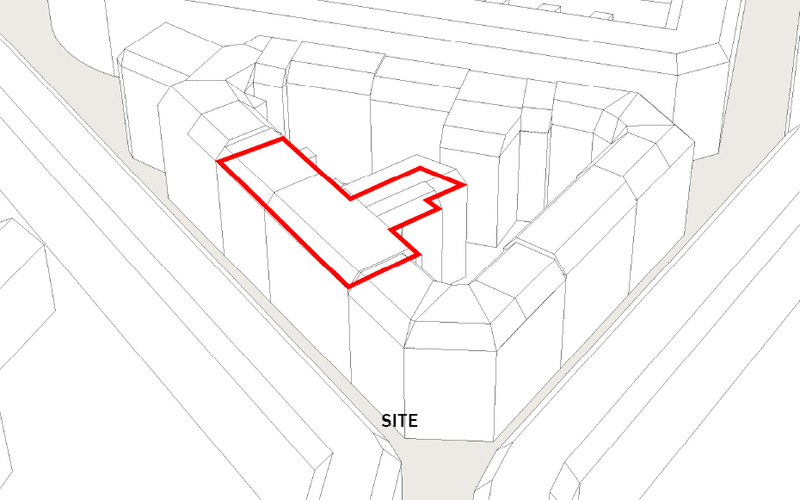 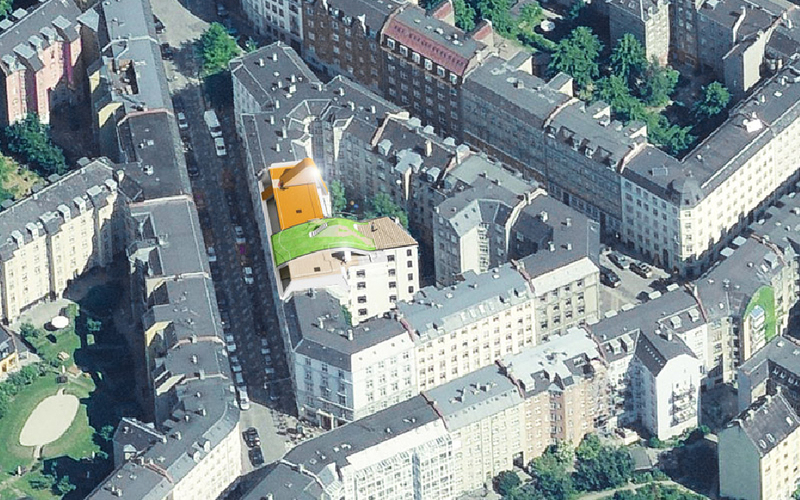 The triangular block Birkegade / Egegade / Elmegade has a very high density, turning its courtyard to a close to zero surface. 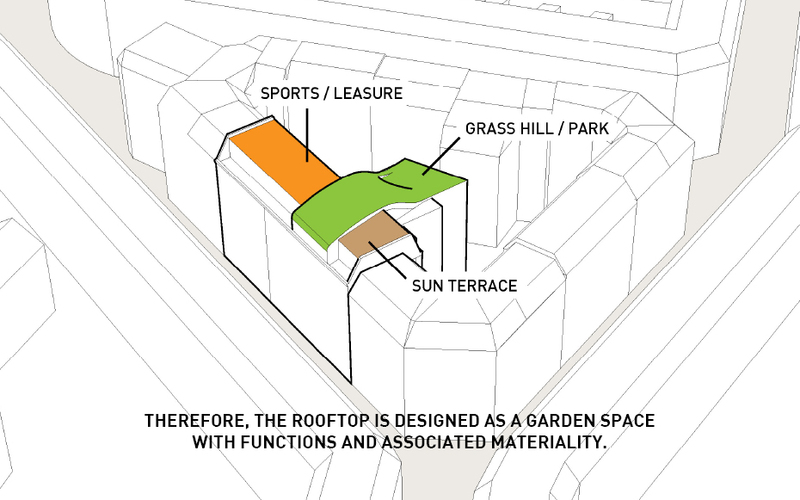 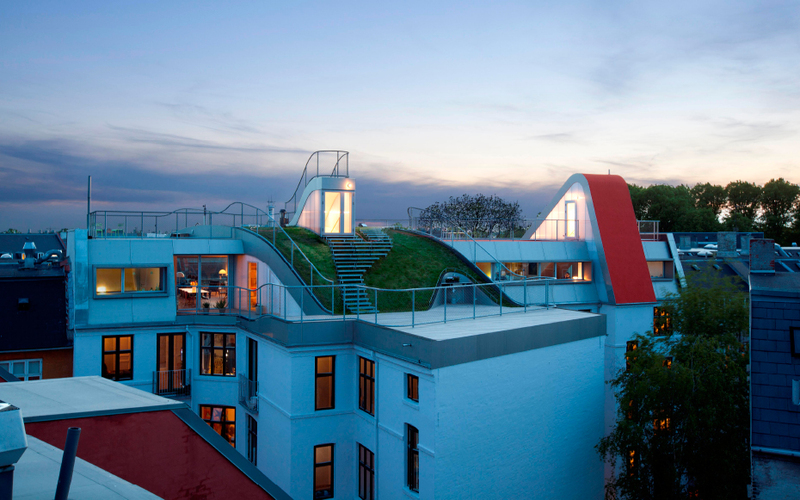 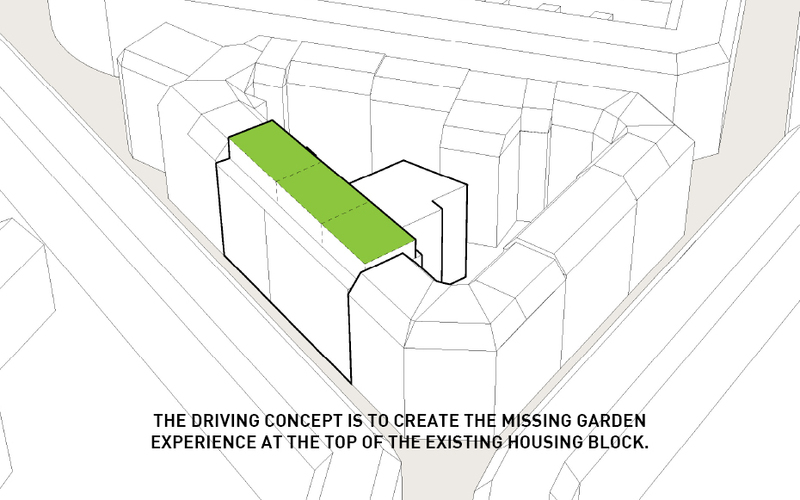 When we were asked to design 3 penthouses on top of one of the block’s co-owned buildings our concept became to use the roof of the newly designed top floor to create the ‘missing garden’ for its community of owners. 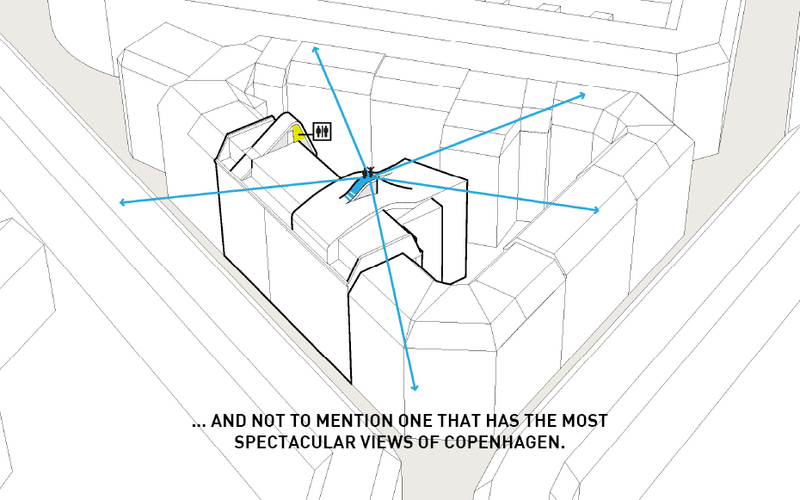 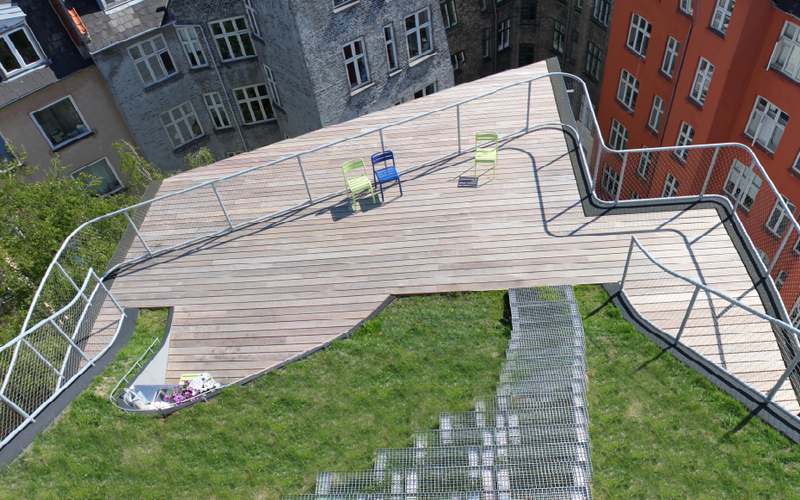 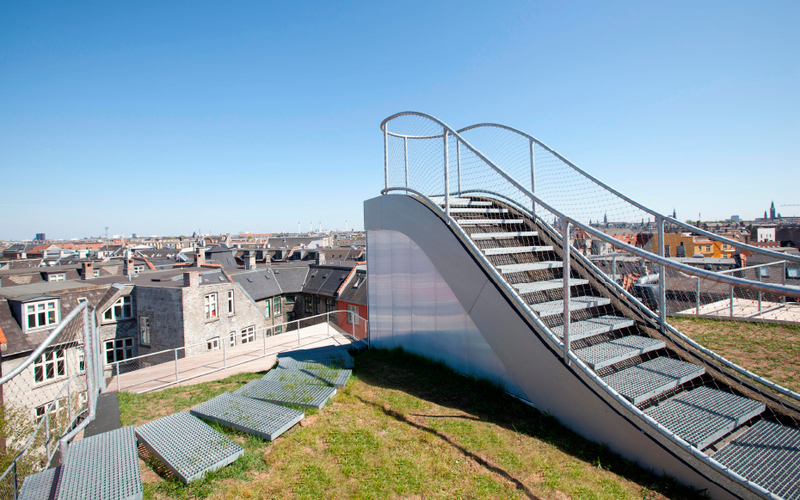 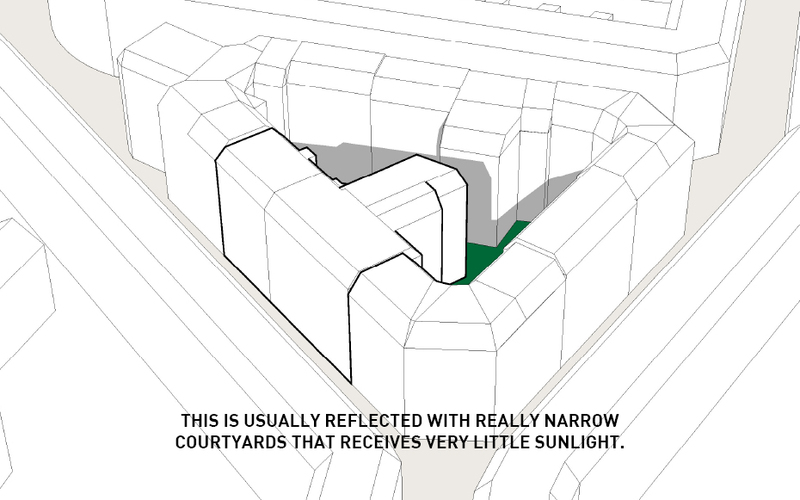 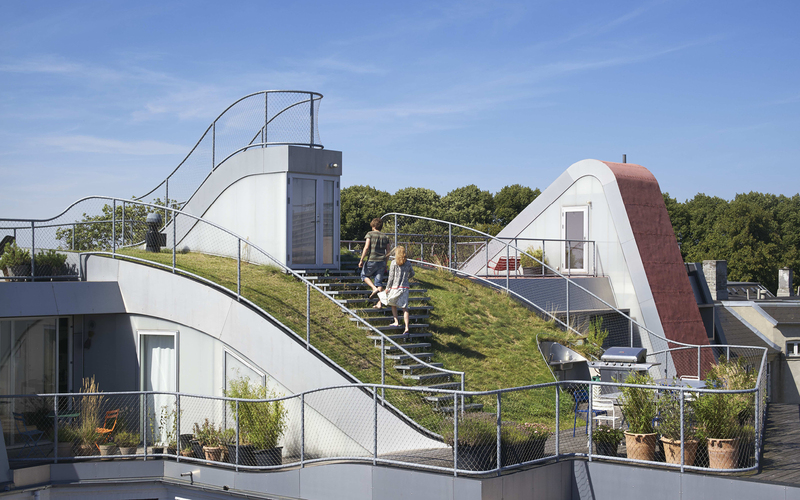 In order to qualify ‘the missing garden’, we looked at the Copenhagen typology of garden, which characteristically has an associated functionality. 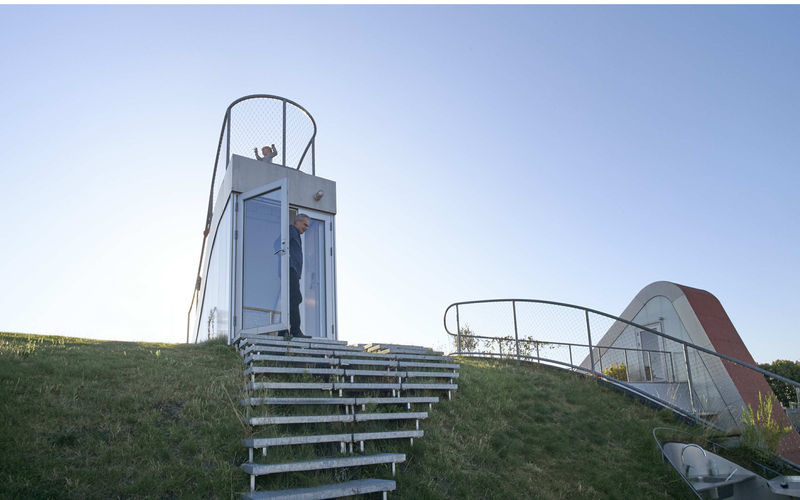 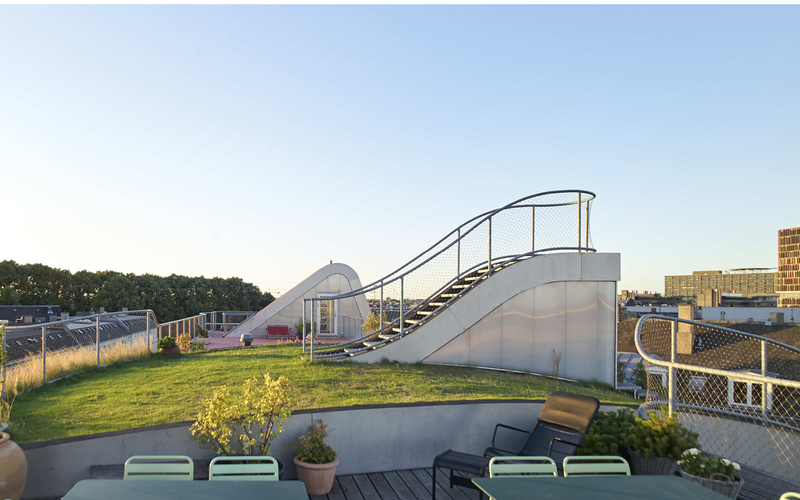 The hedonistic rooftop is reflected in a playground with shock-absorbing surface and a playful suspension bridge, a green hill with varying accommodation backed by real grass and durant vegetation, a viewing platform, an outdoor kitchen and barbecue, and a more quiet wooden deck. 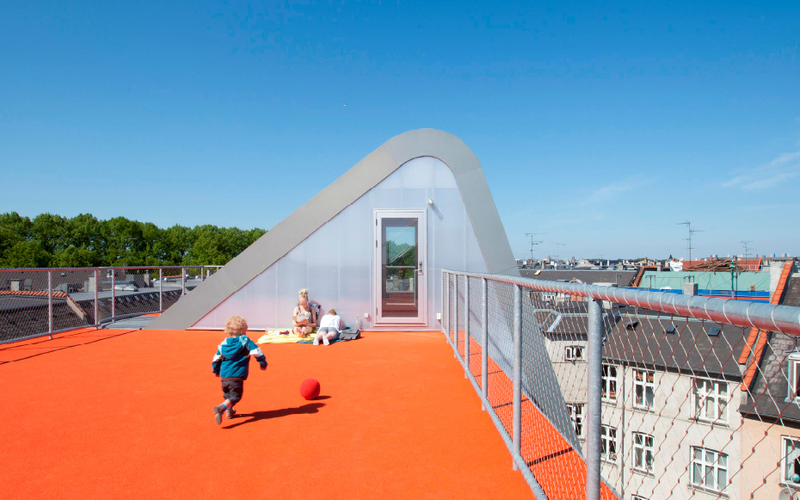 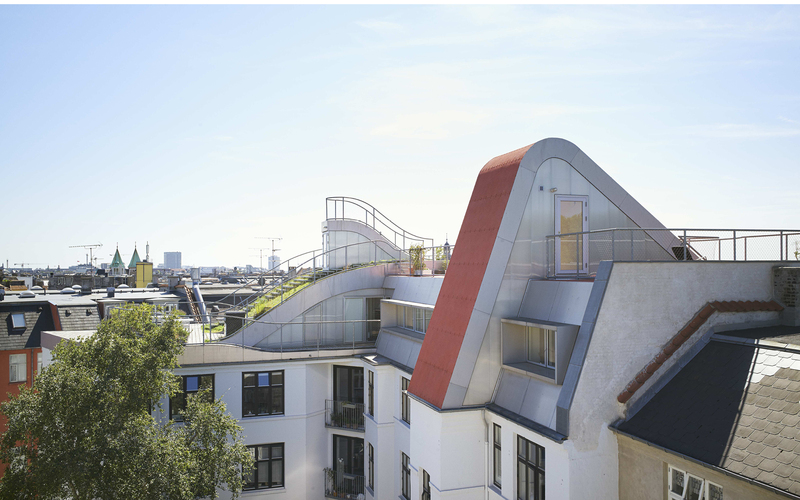 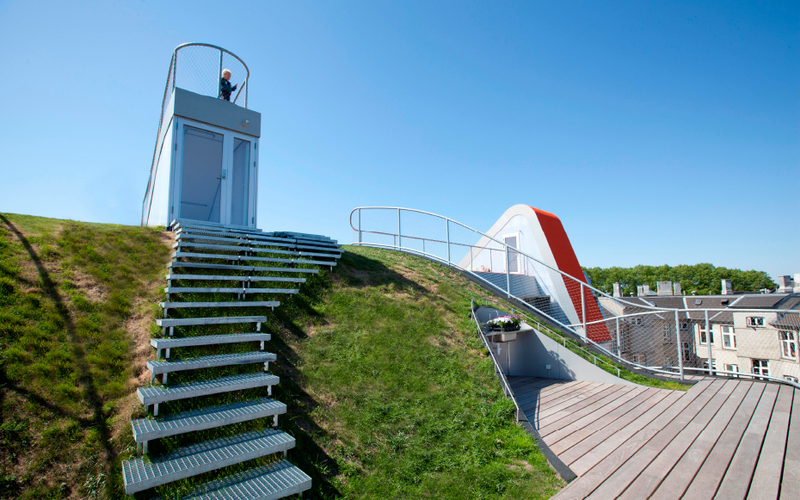 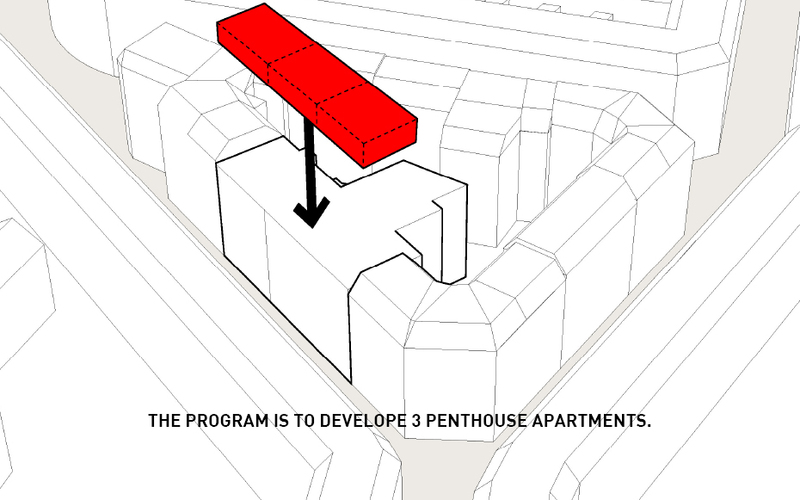 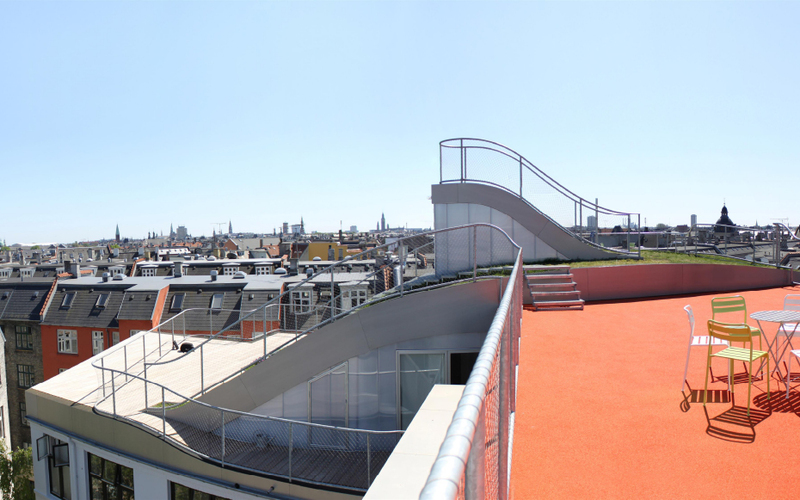 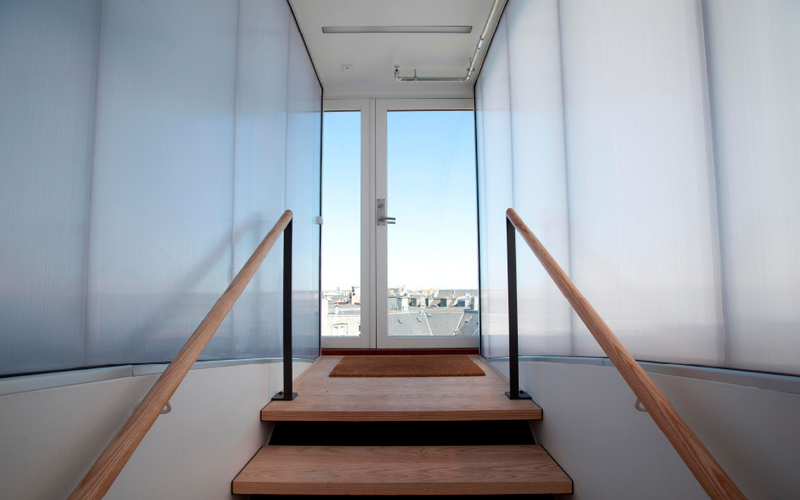 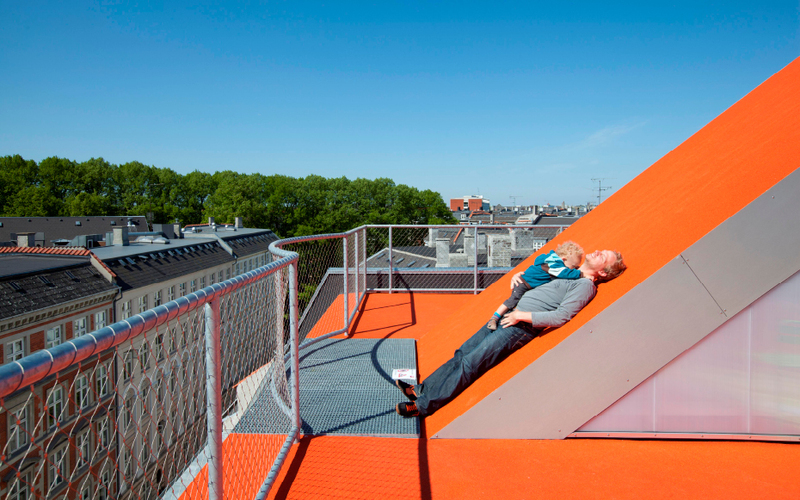 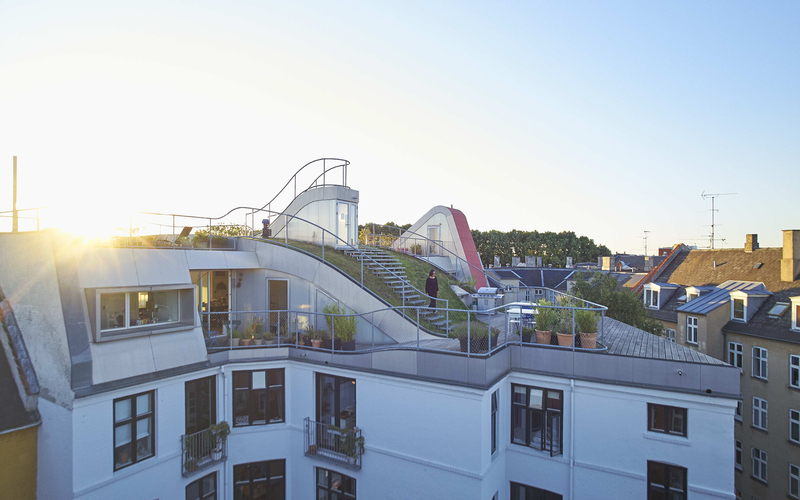 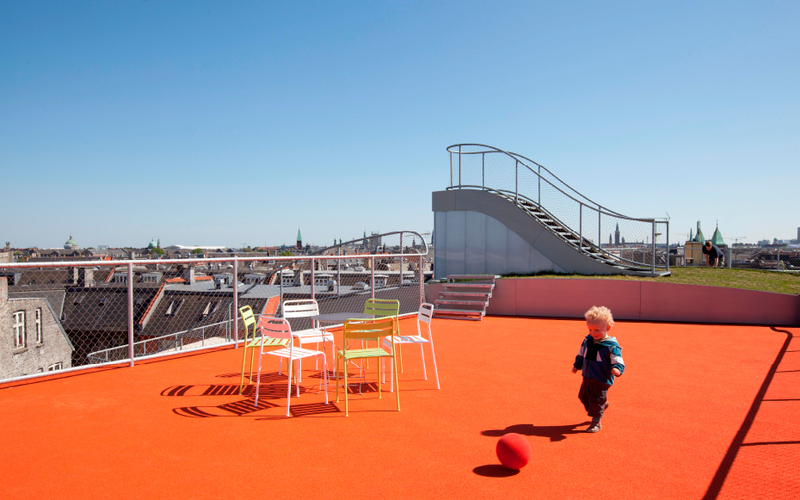 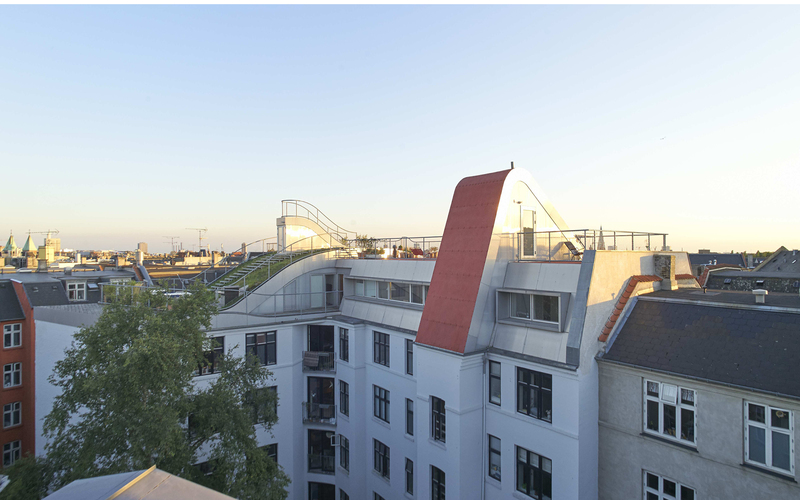 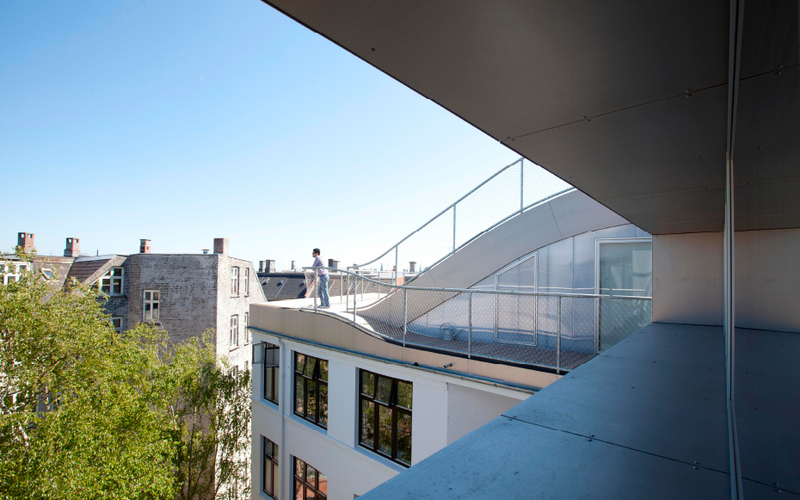 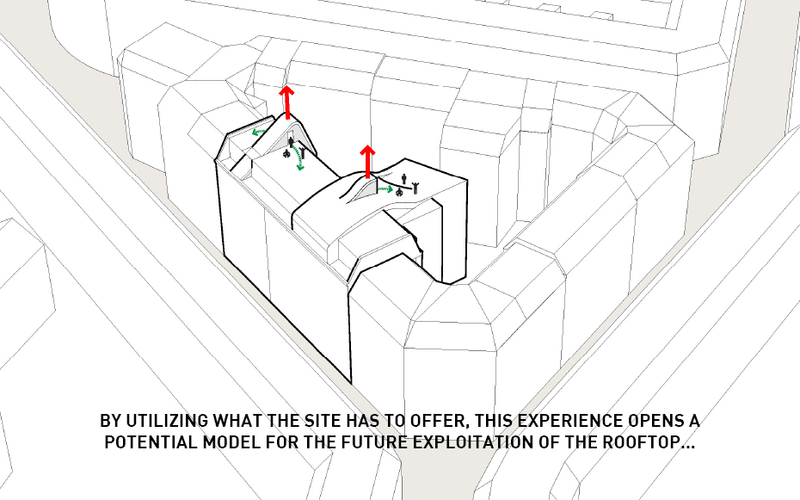 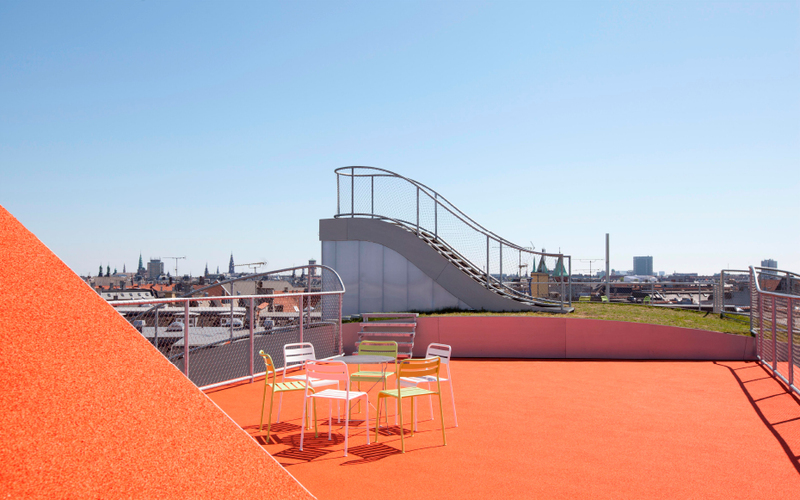 We seek to optimize and fully exploit the situations the site has to offer, and thereby design a potential for the future exploitation of the roof to the delight of all the co-op’s residents. 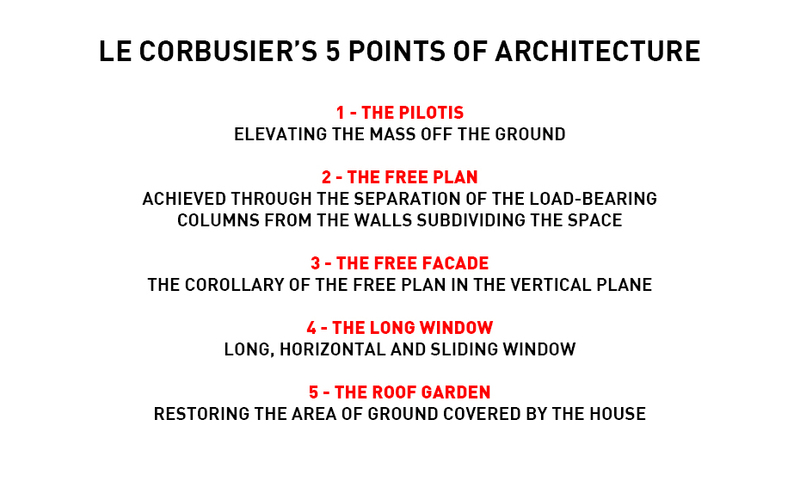 Usually a roof defines a final measure of any construction. 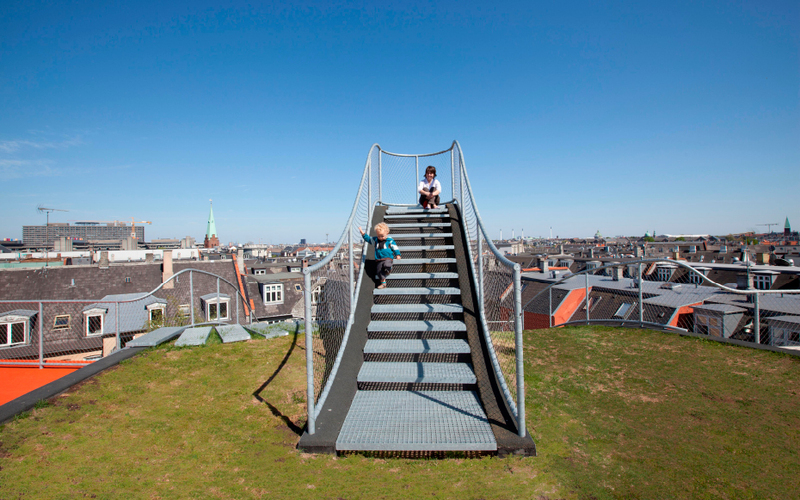 We imagine cities where people will be the last measure of the environment.